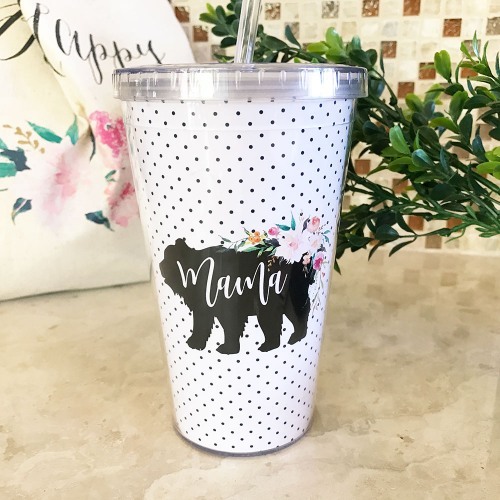 This sweet mama bear tumbler makes a unique and practical gift for any mom or mommy-to-be. Each mug is made of acrylic, and features a tiny polka dot background as well as "mama" written in pretty script against a bear background. Great as a gift for her baby shower or Mother's Day.